During the past year, the combined graduation rate of all four Academies far surpassed the state graduation rate of 80%. The success of the program relies on the dedication and hard work of each Academy’s officers, teachers, parents, students and program sponsors. Preparatory programs help students succeed. Since January 2012, every Academy student receives mentoring in college and scholarship application processes at least one time per month during the school year. In the 2014-15 school year, a total of 560 Academy students were mentored. Mentoring was paid for by the Sacramento Police Foundation and individual school grants. Since 2008, the Sacramento Police Foundation and its partners have contributed over $60,271 toward college mentorship and SAT assistance programs to help cadets obtain higher SAT scores. During the 2014-15 school year, 120 students attended SAT prep workshops, increasing their scores an average of 90-120 points, or 10 percentage points, making them much more likely to be accepted into a four-year university. The Sacramento Police Foundation has awarded over $78,000 to Academy students since 2008. The Sacramento Police Foundation takes pride in providing college assistance to cadets exhibiting great character throughout the Academy. 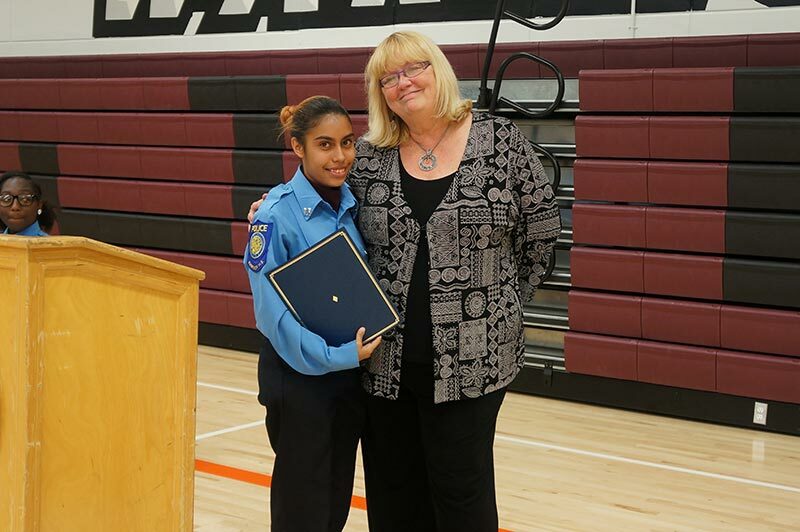 Since 2008, the Sacramento Police Foundation has awarded over $78,000 in total scholarships to Academy cadets. Cadets are required to write an essay and participate in an oral interview process. Winners are selected based on character, leadership, maturity, and presentation skills. 2014 Sacramento Police Foundation Scholarship recipients.